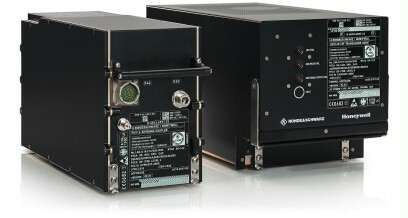 The Airborne Voice/Data Radio R&S®XK516 is designed for use in commercial aircraft. The system provides conventional voice and high-speed air-toground, ground-to-air, and air-to-air data communication over long distances. The Airborne Voice/Data Radio R&S®XK516 is designed for use in commercial aircraft. The system provides conventional voice and high-speed air-toground, ground-to-air, and air-to-air data communication over long distances. The data communication is suitable for aircraft operational communication (AOC), airline administrative communication (AAC) as well as air traffic communication (ATC). 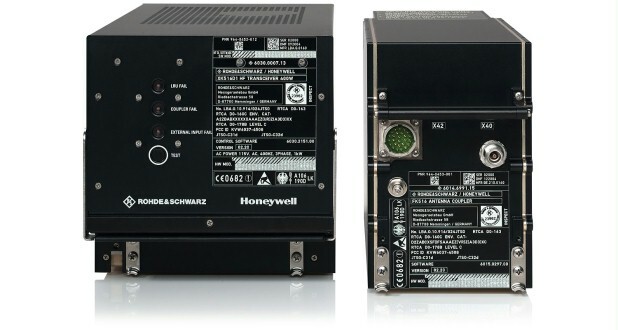 The radio is a joint development of Rohde & Schwarz and Honeywell Aerospace Electronic Systems. The exclusive distribution rights rest with Honeywell Aerospace Electronic Systems, 15001 N.E. 36th Street, Redmond, WA98073-9701, USA. The integrated data communication capability meets the specifications of ARINC 753 and 635 providing high-speed data communication at a data rate of 1800 bits/s. The single-wire coaxial interface needs only the coaxial cable to transfer control and BITE information between transceiver and coupler. Therefore it has a high potential for reducing weight. The retrofitting of older aircraft is simple because it does not depend on the existing aircraft wiring.